While you may not have considered it as a primary option, concrete has begun to rise in popularity as a countertop item. It’s even compared to granite as a material in many cases, and some homeowners are beginning to factor it in as a serious option. At Intermountain Stone & Marble Company, while we won’t put down any other company’s products, we’re here to tell you that our granite countertop materials still hold a few significant edges over concrete options. Let’s go over some of the important factors here to get an idea of why. It should be noted that both concrete and granite products are very strong, and can last for long periods of time with the right maintenance. Both are susceptible to scratches or stains, but can be easily protected from these as well. However, concrete is known to develop an irregular patina over time in many cases. Due to uneven wear, this is a discoloration of the surface that may even lead to cracking. This cracking can be repaired, but will never look quite the same. Granite, on the other hand, never cracks and is much less likely to discolor for any reason. It can chip, but chips or scratches can be repaired with epoxy material that almost never shows due to the natural color of granite. Both materials are also very strong and durable, able to resist heat damage for great kitchen use. But concrete is porous while granite is not – this means the former can absorb liquid, bacteria, mold and various other stains, and has to be regularly sealed and waxed to stop this from happening. If not, the surface will both wear down faster and be unsafe for food preparation in some cases. Granite also needs sealing, but is far better at repelling liquids and stains even without maintenance. It’s also not as susceptible to full-on cracking as concrete. When it comes to home value, buyers prefer products that are versatile and familiar. Granite countertops are highly adaptable, but more than this, they’re simply more well-known and will be comfortable for more buyers than newer concrete products, which are still building a reputation. For this reason, granite is the way to go if you’re considering selling anytime in the near future. Concrete countertops can be colored easily, which is good, but they’re also relatively stoic when it comes to design. They’re not really at home in traditional or forma locations, and are often better for industrial settings. Granite, meanwhile, is a natural stone with tons of variation in pattern, suited for a variety of décor formats. The costs of granite and concrete countertops are fairly similar, but it should be noted that concrete takes longer to mold, cure, smooth and polish. This adds to the installation and labor costs, and also makes the process take longer. And when combined with all the factors above, it’s clearly a less cost-effective investment. For more on why you should likely consider granite over concrete countertops, or to learn about any of our quartz or marble countertop options, speak to the pros at Intermountain Stone & Marble Company today. 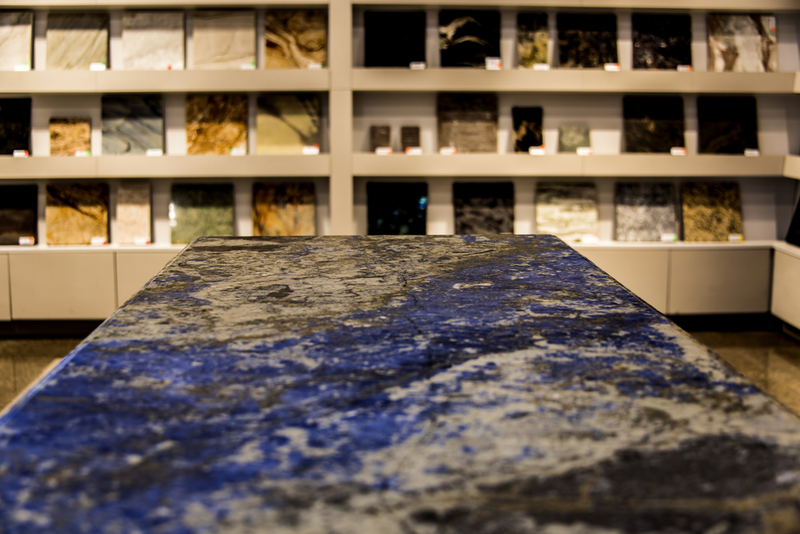 For more on why you should likely consider granite over concrete countertops, or to learn about any of our quartz or marble countertop options, speak to the pros at Intermountain Stone & Marble Company today.